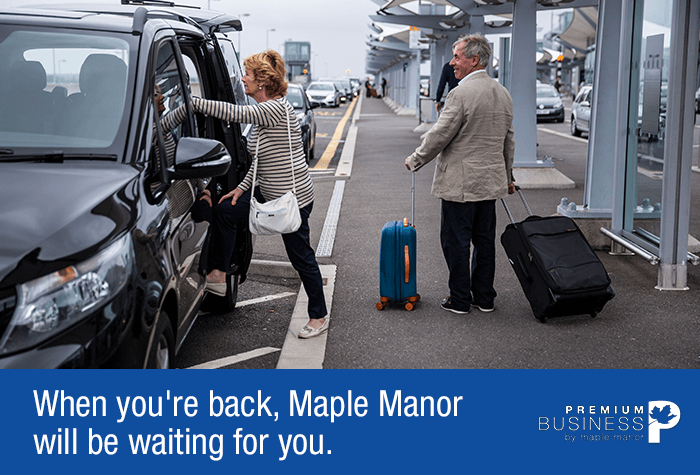 Business Park and Ride at Heathrow is operated by Maple Manor and is perfect for those travelling from terminal 5. It's quick, convenient and affordable - everything you want from an airport car park! Simply drop off your car at the car park, hand your keys in at reception and hop on the bus to the terminal  you'll be at check-in in 4 minutes! 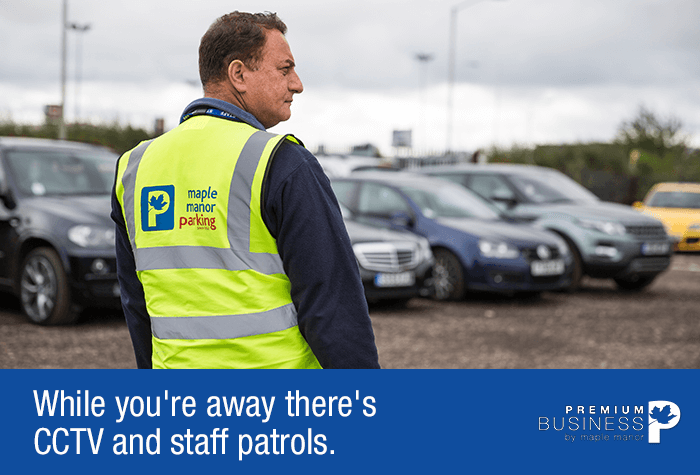 While you're away, you car will be kept in Maple Manor's secured car park with CCTV, fences and 24-hour patrols so you can rest-assured your car is in good hands. When you get back, just head to the 5th floor of the multi-storey car park, take the transfer bus back to the car park, pick up your car and head home. If you're looking for an affordable parking solution at terminal 5, this is the perfect Heathrow airport parking for you. Treat yourself to a little luxury with our closest park and ride service to T5. 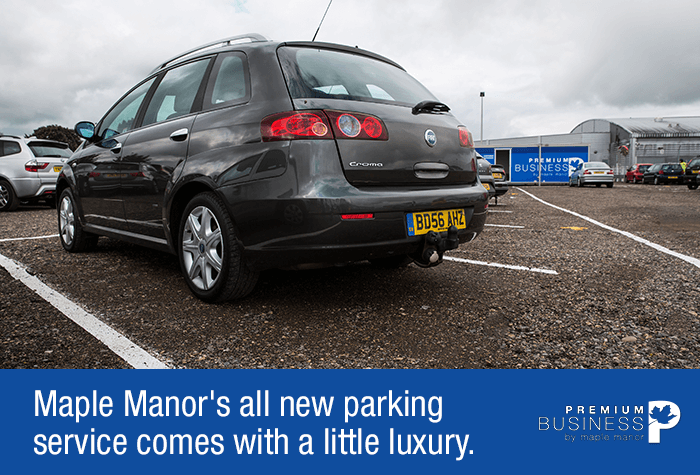 If you're after a professional service with the personal touch, Maple Manor's Park and Ride ticks all the right boxes. 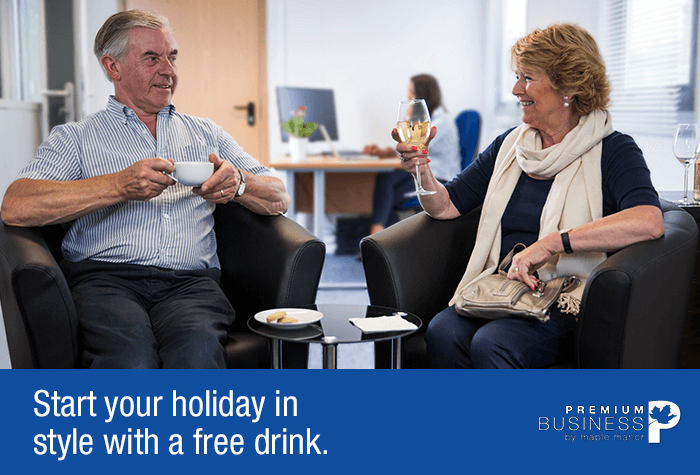 With transfers by Mercedes minibus and free drinks in their waiting area before you fly, it's the obvious choice if you're looking to start your holiday in style. Arriving at Business Park and Ride couldn't be easier. The perfect package if you want to be pampered, just park in the drop-off zone and head to reception to hand over your keys. Your car will be parked for you while you kick back and relax in Maple Manor's waiting area. If you can tear yourself away from the free drinks on offer, transfers to the terminal run frequently and take just 10 minutes, so you'll be on your way in no time. If that wasn't enough, there's great security too. The car park uses CCTV and secured fencing, as well as 24-hour patrols, to make sure your car stays in safe hands the entire time you're away. It's a hassle-free process when you return too. Simply head over to the pick-up area and hop on the transfer bus to the car park. 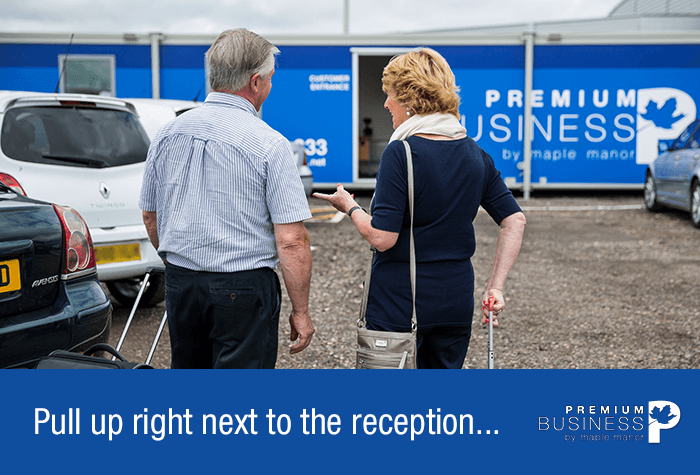 You won't have to worry about juggling all your bags, as your car will be waiting for you right outside reception. Just head inside to grab your keys and you'll be on your way. From business traveller to family trip, Park and Ride is the perfect package for anybody on the lookout for a little extra luxury. There's no height restriction at the car park, but if you're travelling in a larger vehicle, it's a good idea to contact us to make sure the car park can accept you before you arrive. For travellers with mobility issues, just give the car park a call before you arrive so they can organise your transfer to the terminal. 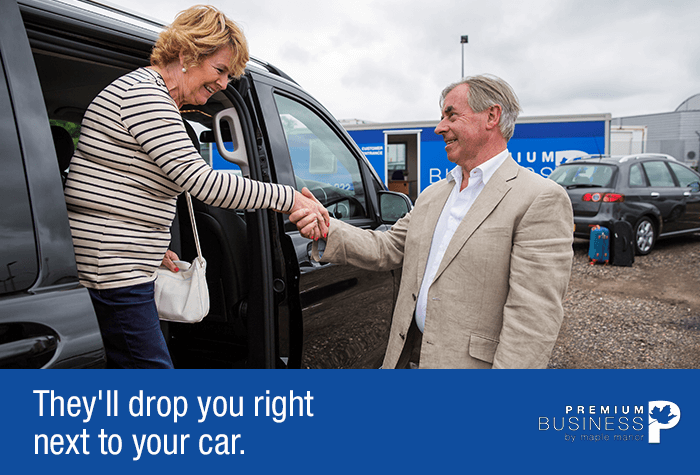 Once you've dropped your car off, Business Park and Ride will have you taken to the airport in a Mercedes mini-bus. It takes 10 minutes and is included in the price. everything was as it supposed to be and staff was brilliant. The description was very misleading. We booked Business parking T5 park and ride. When we parked there after our day holiday we got to the gate and was charged £312! The car park sold to me wasn't business T5, as advertised, but some miles from T5 with a bus service. I therefore have been charged twice and had to pay a premium at the wrong car park. I feel totally mislead and out of pocket. I would never recommend your products or use them again. 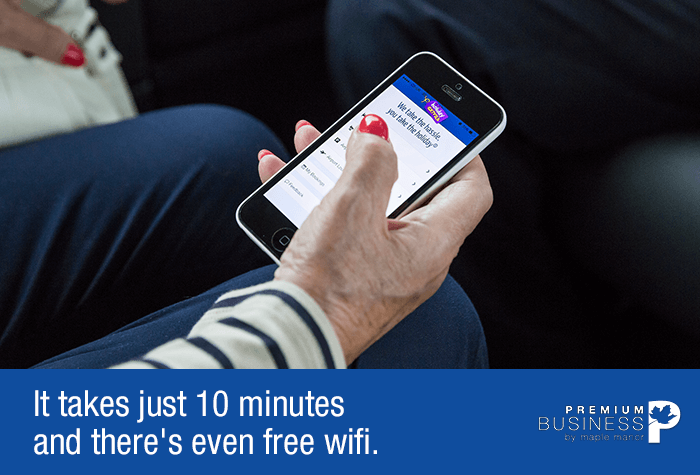 Our customers rated Business Park And Ride on average 8/10 (109 reviews). 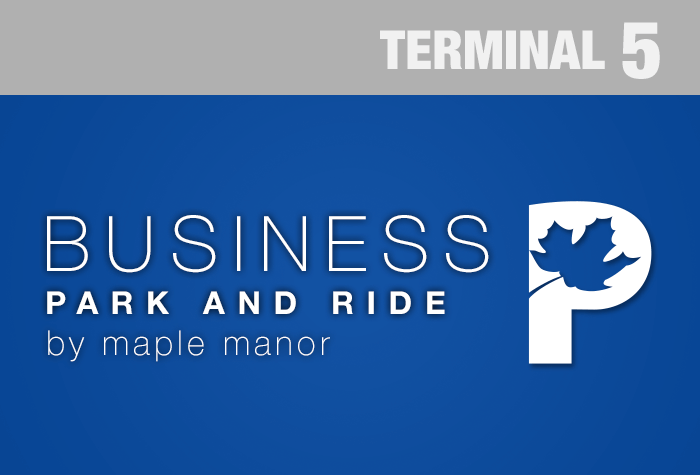 Read Business Park And Ride reviews.